​ALICE RANDALL is the New York Times bestselling author of the novels The Wind Done Gone, Pushkin and the Queen of Spades, Rebel Yell, and Ada’s Rules. Randall teaches the course “Soul Food, in Text, as Text” at Vanderbilt University. Randall has been recognized by the National Institutes of Health as a Health Champion and is a Jamie OliverFood Revolution Ambassador for Nashville. Soul Food Love is her second book co-authored with daughter Caroline Randall Williams. Alice serves as Faculty Head of Stambaugh House on The Commons where the course will be taught. ​CAROLINE RANDALL WILLIAMS was chosen by Southern Living as one of 50 People Changing the South in 2015 for her healthy soul food remix, Soul Food Love, co-authored with her mother, Alice Randall. 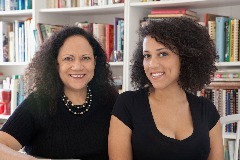 The mother daughter duo’s first book, The Diary of B.B. Bright, Possible Princess, won the Phillis Wheatley prize and was a finalist for the NAACP Image Award. Randall Williams receives her MFA in poetry from the University of Mississippi in May, and owns more than 1,000 cookbooks. Starting in August the twenty-seven year old will be a Visiting Assistant Professor at West Virginia University. 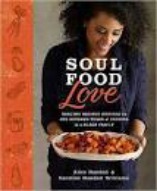 ​Cooking with Soul Food Love! Mother-daughter duo, Alice Randall and Caroline Randall Williams will teach you to put health and history on a tasty southern plate when you learn to cook these easy, flavorful, healthy, inexpensive but all too often overlooked southern dishes. In addition to learning new health conscious recipes this cooking workshop is sure to enhance your knowledge of Nashville foodways, African-American foodways, Southern foodways, and perhaps most importantly your family foodways. Participants will be encouraged to do a little research into their own family kitchen trees as the week progresses and will have opportunity to do a bit of food related writing. Students will actively take part in the actual cooking and taste the results of our labor.